Move over, Chip and Jo—another HGTV star is moving into Target’s home section. Leanne Ford (who you know from Restored by the Fords) is releasing a lighting collection under Target’s in-house home brand, Project 62. 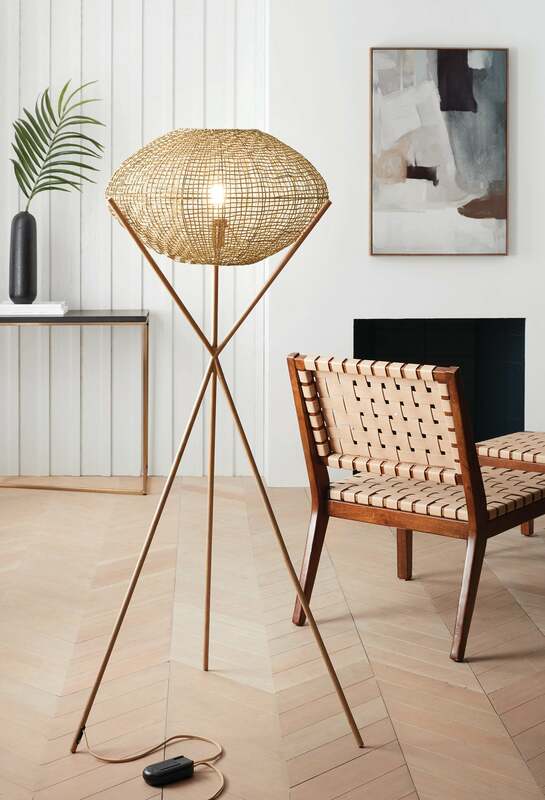 Filled with brass exteriors, intricate netting, and plenty of on-trend exposed bulbs, it’s a launch that can totally transform your interior while staying in your budget. Back in December, Ford told Domino her predictions for the top lighting trends of 2019, and her top trend pick—cage fixtures—is completely in-line with her new collection. The Project 62 line has more than 30 different lighting options, and at least five of them feature a net-like, cage feature. With prices starting at $30 and styles that range from floor lamps to sconces to oversize pendant lights, the collection will have something for everyone—and when it launches in-store and online on February 10, you can scoop it up for yourself.